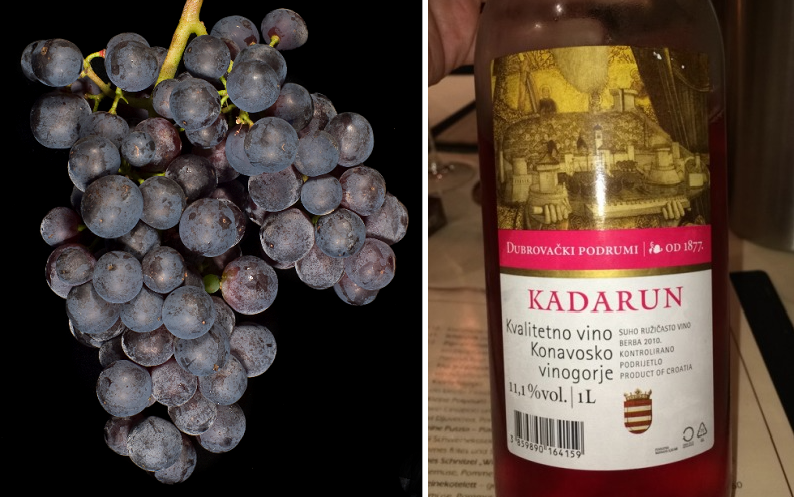 The red grape variety comes from the Turkey (ex VIVC catalog ); but it will also be the former Yugoslavia called. Synonyms are Becirka Loza, Kadarin, Kadaroun, Kadarum, Kadarun Crni, Kadarun Suri, Kadarun Surim, Kadarunac, Plavac Kadarunac, Radova Loza, Stanka Radova Loza, Surac and Zovuga. The parentage is unknown. The variety is in the Bulgaria. Croatia (see label), Montenegro and Serbia grown. There they mainly make rosé wines. In 2010, however, no stocks were reported (Kym Anderson ). This page was last modified at 15 October 2018 at 13:55.